Salaam alaikum! Long time, no blog. 2014 has been off to a crazy start! 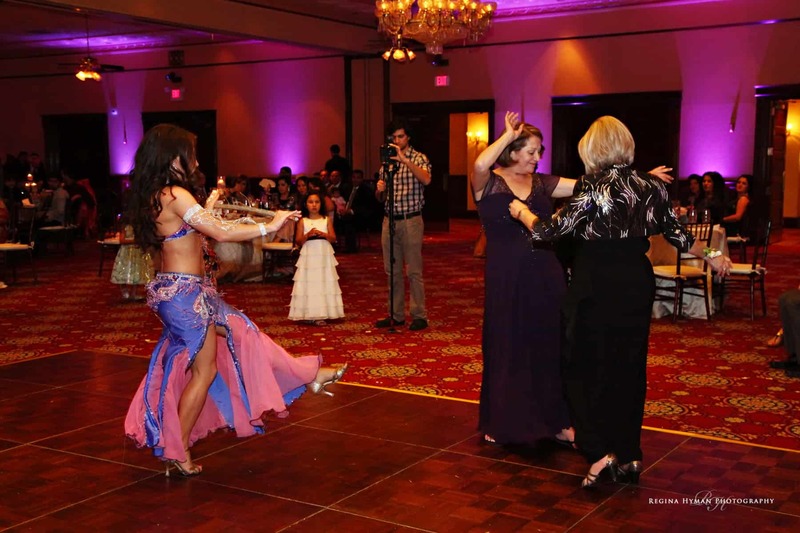 And yes, the good kind of crazy, with tons of beautiful weddings from Orlando to Sarasota; from a reception emcee’d entirely in Vietnamese, to a Valentine’s-themed wedding, to a real-life Big Fat Greek Wedding with a belly dancing bride. Catherine and Mustafa’s Egyptian/Afghan fusion wedding at the exquisite Ballroom at Church Street was exceptionally stunning. When it came to the couple’s wedding entertainment, Mustafa picked a traditional Afghan-style wedding entrance. 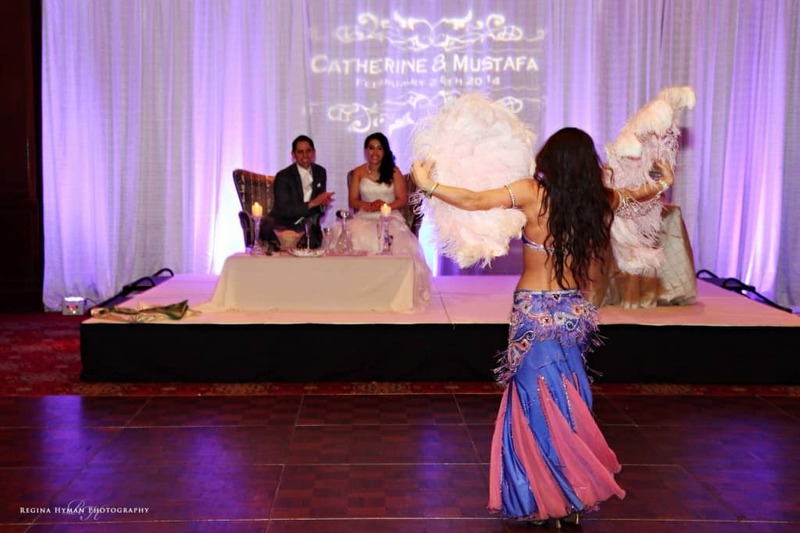 Of course, Catherine wanted something from her Egyptian heritage, and chose a belly dance performance! With the help of Catherine’s DJ (Brian with Standing Ovation Entertainment) and planner (Jackie Hauer with Down the Aisle Events), my show came together beautifully. We went for a contemporary show with a combination of modern fusion props like feather fans and candles, and some Egyptian standards like a cane dance mixed in for good measure. The dance floor was packed, and guests even grabbed Grandma and Grandpa’s canes during my cane dance to get down to the crunchy saidi beat! And after my show, I even got to see the couple participate in a traditional Afghan wedding ritual. The bride and groom sit on a couch, covered in a single shawl, and are given a cloth-wrapped mirror to unwrap and look at their reflection as a new couple for the first time. Very cool! Of course, I was thrilled to see some beautiful pictures from Catherine and Mustafa’s wedding, thanks to Regina Hyman Photography!